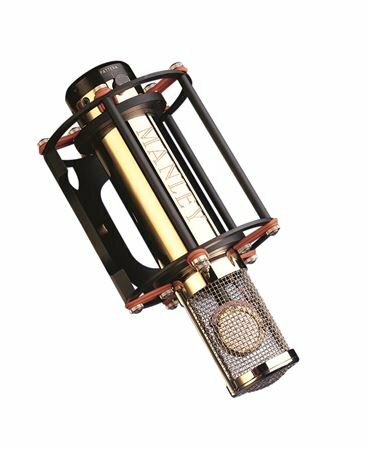 Shop Manley Reference Mono Gold Multi Pattern Condenser Microphone from AMS with 0% Interest Payment Plans and Free Shipping. Experience one of the finest microphones that money can buy. The Manley Gold Reference multi-pattern microphone captures every nuance of your musical recordings. The Gold Reference Series employ our own design of large capsules (1.25 inch overall, 1 inch diaphragm diameter) which are executed to precise tolerances made possible by modern micro-milling machinery available today in California. The capsule rings and back-plates are milled from solid brass. The gold diaphragm film comes from Germany and is tensioned using proprietary techniques by David Josephson ensuring capsule-to-capsule constancy, combined with the speed, "air", and superb ultra-high frequency response you have only dreamt about.